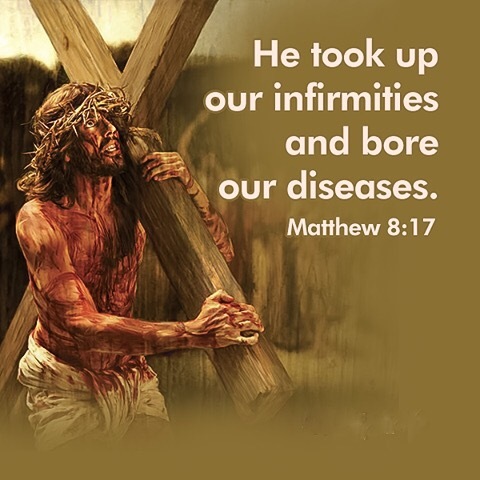 Jesus at Calvary carried away for us both our sicknesses and our diseases. The prophecy of Isaiah 53:4 has been fulfilled. All we have to do is receive by faith in our hearts what He has already done for us. Healing is not initiated in the physical, it is spiritual and it manifests in the physical body. Sickness did not come from the physical realm because there was none in the beginning of creation until a fallen spirit named satan came and led man into rebellion against God. This opened the door for sickness to come. Healing is a part of the salvation package purchased for us by the stripes Jesus bore in His body. We know therefore it is God’s will to heal us. Jesus Himself was anointed by God and went about doing good, and healing all who were oppressed of the devil. He is the same yesterday, today, and forever. Many often question if it is God’s will to heal them, but Jesus proved it is His will for us to be healed. No one who came to Jesus in faith for healing was ever turned away. Jesus healed everyone who came to Him in faith. So it is today for He has not changed. If we come in faith believing in our heart we receive when we pray, we shall have what He has purchased for us.